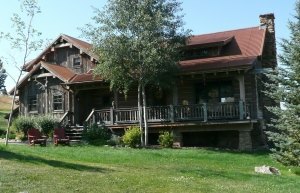 Every log home has areas where flies, moths, mice, spiders, dust, stinkbugs and cold air can gain access into the interior of your home. The list gets longer as the cracks and log checks get wider. We have proto-type equipment built and used exclusively for the "MICRO-CRACK INJECTION PROCESS™." 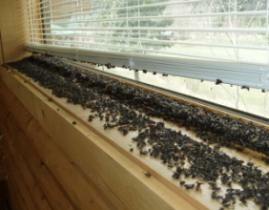 "DENY THE FLY" is a Montana based company specializing in the reduction of flies and cold drafts in log homes. Take a look at the process for information on how it works or feel free to contact us for more information.